"The workshop "Elections in South Eastern Europe - Chance for New Stability" organized by Centre for South Eastern European Studies, Belgrade, was about prospects for democracy and regional cooperation in this part of Europe. This project was supported by Democratic Transition and Reintegration in Serbia Project, and sponsored by Freedom House, with funding provided by the US Agency for International Development and NATO. 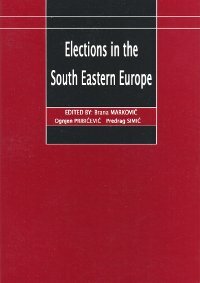 The main goal of this project was to gather leading experts from the region in the field of foreign and domestic politics and enable them to exchange their ideas about recent elections in the region (Serbia and Montenegro, Bosnia and Herzegovina, Macedonia and Croatia) and its impact on the regional stability. As a result of our work and endeavours to bring these experts we organize workshop on this topic in Belgrade on 28th of February 2003. Centre for South Eastern European Studies brought to Belgrade leading experts in this topic from Sarajevo, Skopje, Podgorica, Zagreb and Belgrade and representatives of Freedom House and NATO. The main conclusion of workshop is that new elec­tions did not bring stability by itself, but rather contin­uation of previous condition marked by rising poverty and flourishing of organized crime, which according to the opinion of some of our participants, are taking con­trol in some of these countries. Poverty is the main reason why nationalist parties came back to power in Bosnia and Herzegovina and it is expected that same could happen on the next elections in Croatia and Serbia. Participants from Macedonia stressed that Macedonia is now more distant from Euro - Atlantic integrations then four years ago, and guest from Zagreb stress that security situation in the region is worse than before, since nationalistic myths are still alive. Filling of injustice, loosing confidence in institutions, absence of perspectives and rising abstinence on the last elections are common characteristics for all these countries. Mainly thanks to the massive international pres­ence and mutual wish to get into European Union pos­sibility for some new serious conflicts in the region are excluded. One of the most interesting idea we heard from the Adviser to the High Representative of UN in Bosnia and Herzegovina who explained that in the past international community always try to diminish chances of nationalist parties on the elections and usu­ally failed. Therefore their focus in future will be strengthening of the institutions like courts, police etc. instead of fighting nationalist parties. As far as the new Union of Serbia and Montenegro is concerned partici­pants thinks that it is to early for conclusions but they are rather pessimist than optimist. At the moment countries of the region is actually out of all important integration trends in Europe: EU, PfP, NATO. For Serbia situation will be even worse after Hungary will intro­duce visa system at the end of this year. Way out from this situation is in adopting of pro­grammes for fighting poverty and organized crime, pos­sible only with massive European and US support, and quicker entering of these countries into European inte­gration which only can bring hope to the people of the region."